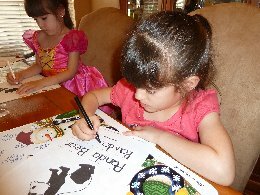 The Lil Divas are learning all about Bears this week. It's one of my favorite themes because it includes some of my favorite animals - Polar Bears, Panda Bears, Brown Bears and of course a bear theme would not be complete without including Teddy Bears! 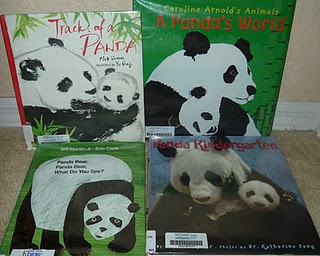 We began with Panda Bears and have been reading some wonderful books that were also full of wonderful information on these adorable bears. 2 paper plates - we used 9in. plates but you can also use 6 in. 1. Using the black construction paper cut out 2 oval shapes for the surrounding eyes, 2 ears, 2 arms and 2 leg paws. 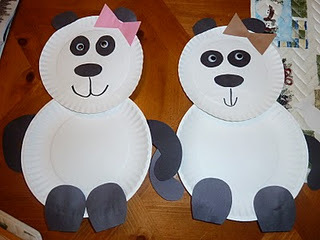 Using the colored constuction paper cut out a bow shape (if desired) - this can be used on the head to make it a girl or as a bow tie to make the panda a boy. This piece can be left out if desired. My Lil Divas wanted girl panda's so this was what we came up with. 2. Cut some of the edge off of 1 of the paper plates to make it just a little smaller - this will be the head and the remaining paper plate will be the body. 3. To make the panda's face - glue the ears, nose and black outline of the eyes. Add the wiggly eyes on top of the black eye shapes. Use your black marker to make a mouth. Here are our finished girl pandas! 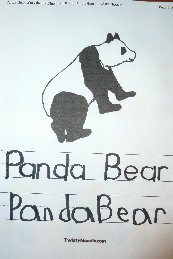 I used a Panda Bear Tracer Page from http://www.twistynoodle.com/. I love that you can customize their sheets! 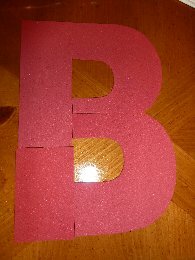 I used a template from abcteach.com (available by subscription only) to cut out foam shapes for a B Puzzle. The Littlest Diva really enjoyed working on this and did it over & over again. 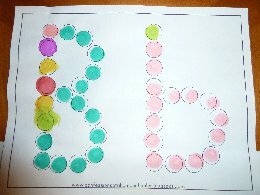 I plan to make this for each letter for her. 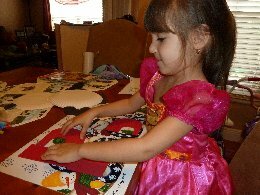 She enjoyes puzzles. This snack is made using a hardboiled egg! It consists on 1 had boiled egg, 1 dark grape (cut in half & attached with half of a toothpick - use caution when eating) for the ears and for the face I used black sparkle gel (like icing). 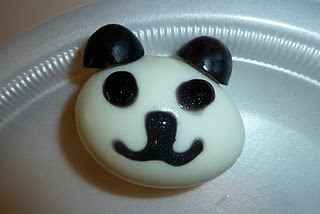 It was an easy & cute snack to celebrate the panda bear! 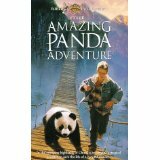 We also watched The Amazing Panda Adventure - a great family film about the perils of the endangered pandas in China. 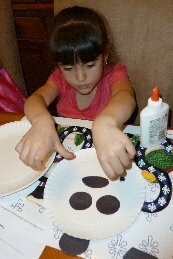 Don't forget to check out our Polar Bear and Brown Bear activities! I love all the pandas. The egg is so cute. I have a panda book coming up for review in April I bet you will love. Wonderful! I love the egg and the paper plate pandas are adorable. Such a cute craft... The plate and the egg. I love panda bears! !